FlexiRay™ cables from art photonics is the latest generation of High Power Fiber Cables produced for various lasers in broad spectral range. 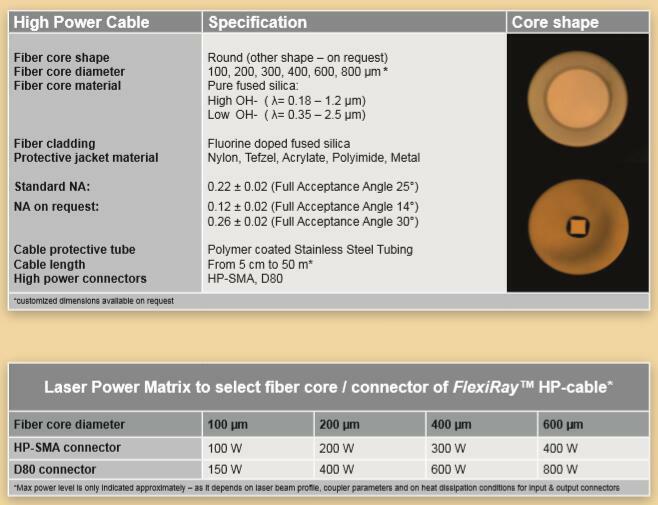 FlexiRay™ HP-cables deliver much higher power compared to the similar cables in result of specialty laser ﬁ ber combination with the proprietary connector design. This synergy enables long HP-cable life while high power density is delivered and connectors stay cool.